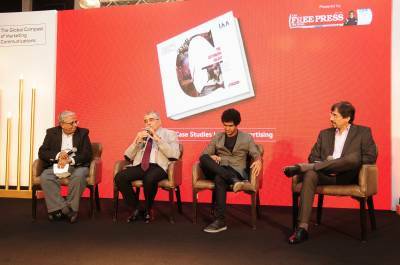 The India Chapter of the International Advertising Association (IAA) unveiled a coffee table book, titled ‘The Gutenberg Galaxy’, which showcases how creative advertising agencies have been able to use the power of print to build brands for their advertisers. The collector’s item presents 24 case studies and 14 articles from eminent leaders across the industry. The launch event also saw a panel discussion on the relevance of print in today’s scenario. Moderated by RN Bhaskar, Consulting Editor, Free Press Journal, the speakers included Ashish Bhasin, Chairman & CEO - South Asia, Dentsu Aegis Network; Santosh Padhi, Chief Creative Officer & Co-Founder, Taproot Dentsu; and Ajay Kakkar, CMO, Aditya Birla Capital. According to Bhasin, the people who needed to have confidence in print as a medium were the ones who dealt with it. “It is a 20,000-crore industry that cannot be ignored.” While he agreed that there had been certain changes happening with the advent of digital, such as less time being spent on the print medium, he stressed that rather than losing faith in their own product, people needed to work on it differently. Padhi, too, agreed that print is witnessing growth because it is credible. “You can’t sell anything which is not believable. The numbers are growing because people believe in this platform. Digital has this immediacy factor, but print has the liberty to present the entire 360-degree concept of the news and bring it on the table,” he added. For Kakkar, credibility is one part. He felt that creativity, too, played a major role as “print has allowed us to touch, smell and feel”.